BurnAware Premium 11.5 was available as a giveaway on September 12, 2018! How would you improve BurnAware Premium 11.5? Fix error code 249. There is no info on this. BurnAware Professional is a powerful CD, DVD and BD disc burning solution intended for users who need maximum control over every aspect of the burning process and use multiple burners for mass-production of various discs and quick creation of disc copies. 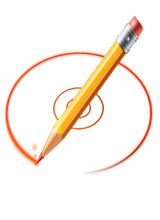 PDF Shaper Professional is a powerful PDF software, which offers a collection of PDF tools and utilities to modify and optimize your PDF documents and its content. 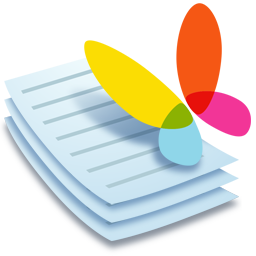 The program offers super-intuitive user interface and one of the fastest and stable PDF processing algorithms with ability to process multiple files at once. 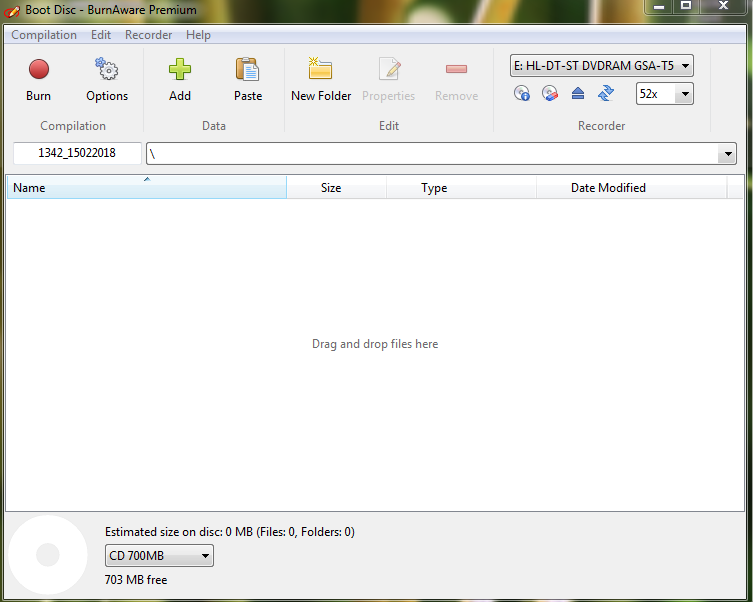 Very fast download, and extremely fast at doing its job. Nice GAOTD, thank you! "If you have Kaspersky antivirus, disable it and restart the computer." "IMPORTANT: please note that due to the Themida wrapper usage your installation might be blocked by your antivirus (AVG, Avast or Kaspersky)!". I did try to install it without turning off Kaspersky. But a pop up window appeared saying that the install has stopped working. Click to find out online why. Click to close the install program. I chose to close the install. I will NOT disable Kaspersky anti-virus in order to install this BurnAware. Other burner software do not seem to have this problem with Kaspersky. In addition, I have installed many other GiveawayOfThe Day software with Kaspersky anti-virus turned on; and never had a problem with the Themida wrapper. The Readme.txt file did say: "If you have Kaspersky antivirus, disable it and restart the computer." and "IMPORTANT: please note that due to the Themida wrapper usage your installation might be blocked by your antivirus (AVG, Avast or Kaspersky)!". ... I did try to install it without turning off Kaspersky. But a pop up window appeared saying that the install has stopped working. Two choices: Click to find out online why. Click to close the install program. I chose to close the install. ... I will NOT disable Kaspersky anti-virus in order to install this BurnAware. Just forget about it. Other burner software do not seem to have this problem with Kaspersky. In addition, I have installed many other GiveawayOfThe Day software with Kaspersky anti-virus turned on; and never had a problem with the Themida wrapper. What a hassle for a burn program of which there are thirteen in a dozen. Windows can burn DVDs. And there are more than enough FREE burning programs to download. What a hassle for a burn program of which there are thirteen in a dozen. Windows can burn DVDs. And there are more than enough FREE burning programs to download. Just curious, Why did you all delete my honest post about the program and the warning to others here that this company adds hidden programs in their download installation programs? I just wanted to let others that I downloaded another program from their site and that it offered me 2 add on programs along with main one I wanted. I clicked no to those extras and finished the install and there was a third, "hidden" program. Google Chrome that was slipped in the installation bundle and I was neither given the option nor the knowledge it was there til post install. I wanted the others here to know and beware for this tactic. But I only said positive things about this program. Just Curious why, after it was posted here for several hours and passed moderation, it was taken down? I don't think they deleted your post as I see it. It is #31. You may just need to refresh your page. Coalfire, I don't think they deleted your post as I see it. It is #31. You may just need to refresh your page. After installing this program I opened it and I UN-checked the auto task to "check for new updates", which is located in the settings tab. I am pretty sure if you update this free version like most GAOTD software, the license /registration will go away. Thank you very much for this nice no nonsense program that has so many functions, updated smoothly from v. 10.2. Did not have a chance to use it, but it is surely a good one to have. P.S. Sometime the "I'm not a robot" at the bottom goes on forever presenting more panels, EXTREME ANNOYANCE.! Thank you very much for this nice no nonsense program that has so many functions, updated smoothly from v. 10.2. Did not have a chance to use it, but it is surely a good one to have. Thanks again !!! P.S. Sometime the "I'm not a robot" at the bottom goes on forever presenting more panels, EXTREME ANNOYANCE.! Wow! Quite a heated discussion on the use of the various types of media used, but almost nothing about how good or bad today's software is. I've used Burnaware free for quite a while and have been more than happy with it and welcome the chance to upgrade to the Premium version. The software is easy to use, plenty of options and doesn't suddenly decide it doesn't like the disc half way through burning, like Nero often did rendering the disc useless (even re-writable discs). My car has a cd player that also accepts SD cards, flash drives and aux input from my phone, but I tend to use CD most of all, there's something about having a real physical medium instead of a flash drive or whatever. Great software thanks Burnaware and GOTD. I don't know exactly what the GAOTD wrapper is for. But I am not going to turn off Kaspersky, restart my computer and then connect to the internet with my computer security turned off, even for what appears to be a very good offering. GAOTD, can't you devise a process for downloading your offerings without turning off my Kaspersky Internet Security and restarting my computer without security? At this time I have no discs to burn data to, but have been on the lookout for a good burner software for when I do get some. Judging from most of the comments here, I feel that I can trust that this one will do nicely. So I am downloading it and installing it on this computer. Thanks to all that posted comments that convinced me to grab this one, and thanks to BurnAware and GAOTD! At this time I have no discs to burn data to, but have been on the lookout for a good burner software for when I do get some. Judging from most of the comments here, I feel that I can trust that this one will do nicely. So I am downloading it and installing it on this computer. Thanks to all that posted comments that convinced me to grab this one, and thanks to BurnAware and GAOTD! how does one open this: "GCD file included is necessary for correct installation and activation." I don't believe I have the correct software on Windows 10 for it..
Peter, one *never* opens the .GCD file. It is included only for GotD's purpose. Downloaded via email link. It didn't want to download as a conflict with my anti-virus. After turning it off as per the GAOTD instructions BurnAware loaded and installed quickly. It looks like a really nice prog. I know I will get a bit of use from this. I then went to their website and decided to download the free PDF Shaper (PDF Editor) to test for awhile. Maybe even keep if it works well. I will say this: if you download anything from this company...watch for them trying to add other programs into the download. It offered 2 different extra progs and I clicked NO then when it finished downloading...up pops Google Chrome. I was not given a chance to decline. It was slipped in without notification. So Again watch if you decide to get ANYTHING else from this company as it seems they like to add crap progs on the sly. JUST FYI to other GAOTD down-loaders. Simple interface, instructions/ tutorial links on their webpage, I even noticed in the options tab you can add some basic metadata...so give it a try, maybe keep it for a rainy day. 32.9MB in the folder so not big cluttering prog. I am assuming the stated 12.7MB above is for the installer not the actual prog. 2.5 outta 5. as we are a mostly digital society now a days. I have in vain tried to install BurnAware. I used WinPatrol Plus to disable AVAST at startup, restarted and tried. I repeated, logged out and started my PC again. Still no luck. Do I have to uninstall AVAST to be able to install BurnAware? Benny, right click avast icon in lwer right. Avast Sheild control click and click disable for 1 hour. Then redownload a new installer then instal as per instructions in installer read me. Coalfire, Thanks a lot, it worked. Now I have learnt something new today, which makes me as an 82-year old senior extra happy. Benny, ...lol no prob. If there is any thing I can do and you see me here, just ask!!! I don't know much but I will do what I can. 82??? wow. I am 50. I also have Avast and pause it as Coalfire suggests however, I select 'disable for 10 minutes' as that has always been enough time to do an install. If you do choose the 1 hour, be sure to turn it back on immediately after install so as not to leave yourself vulnerable. Just FYI. Benny, I also have Avast and pause it as Coalfire suggests however, I select 'disable for 10 minutes' as that has always been enough time to do an install. If you do choose the 1 hour, be sure to turn it back on immediately after install so as not to leave yourself vulnerable. Just FYI. Wow...just can't fathom the number of stupid comments about 'who needs a CD when there are USB enabled devices'. This is a really decent GAOTD offering. Like I have said a while back...anyone who thinks they don't need CDs ...are the same clowns who watch movies on their cell phones...we all aren't well off enough to have every latest gadget..let alone a vehicle with USB ports, so guess what...we still need CDs...I can fit 90 or so MP3's on a data CD... so my 'old fashioned' 6 disc CD player in my 'ancient' 2010 xterra can still hold almost 600 tunes...how much more do you need?? Anyone know if it works or will work if put on usb stick or separate hard drive? Is there any way to reinstall this program in the future if I restore my OS or change computers? GAOTD offerings are installable only for the 24 hour window they are posted. However, many are posted at intervals so it may be available again. Mark, No. GAOTD offerings are installable only for the 24 hour window they are posted. However, many are posted at intervals so it may be available again. Mark, In the past, iI took my old drives out of their computers & put them into an external housing which then plugs into the USB port of my new computer. 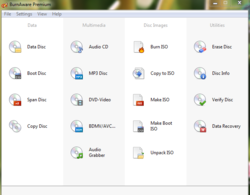 I then accessed the programs on those hard drives and placed program shortcut icon on my new desktop. I was very late coming in today, otherwise I would have been the first to praise and recommend this programme. 2] I moved the old version to a safe place, just in case, and installed this. Never been so easy. No codes, registration or activation code nonsense, just download and instal (one L). And no licence limitation either. I even forgot to deactivate the antivirus but it didn't matter! Then I deleted the old version. From time to time GAOTD offers something really good, which compensates for the crapware at other times. This is something really good. I was very late coming in today, otherwise I would have been the first to praise and recommend this programme. 1] From past usage. 2] I moved the old version to a safe place, just in case, and installed this. Never been so easy. No codes, registration or activation code nonsense, just download and instal (one L). And no licence limitation either. I even forgot to deactivate the antivirus but it didn't matter! Then I deleted the old version. From time to time GAOTD offers something really good, which compensates for the crapware at other times. This is something really good. Laxative, I have seen your comments, often worthwhile, but the name you use makes it difficult to take you seriously. I am not sure why you would choose to represent yourself on a board with such a name. Just Sayin. Just Sayin, I will consider changing it. I had used it for a less serious forum where all sorts of crazy names were used and it was very appropriate. I began recently to think that here it is not. I'll give some thought to a new name in the next two or three weeks, you have a point and I appreciate your mentioning it. But for the moment it must stay as I do not want to keep on changing it. Just Sayin, I believe that it wouldn't hurt if you took a laxative. I'm just saying. Can some of you just sit back, take a deep breath and stop yammering on and on about today's usefulness of CDs, DVDs, laptops, USB sticks, video streaming, etc.? And all the personal, petty verbal attacks being dished out? People use what they are comfortable with and what is relevant to THEM for whatever reason. Please stick to evaluating the software for ease of installation, what it does and what it promises to do. Thanks, GOTD for passing along what seems to be a great offering. This is another install setup that doesn't work for me. What happens is it just brings up a window that says the program is activated, but never installs it. William Addis, - Yup, did it to me too. Then I read the ReadMe file in the install package -- shutdown my Anti-Virus (AVG) and all went well. William Addis, - Yup, did it to me too. Then I read the ReadMe file in the install package -- shutdown my Anti-Virus (AVG) and all went well. The really important question: How does this compare to ImgBurn? Does it add anything that ImgBurn doesn't have? Jim Jones, ImgBurn that I am aware of is practically abandonware while this is still being actively developed. I think an additional feature this has is the tool to recover data from a failed multisession disc etc. I do recall that not tool long ago I tried to install imgburn on a 64-bit vista SP-2+ fully patched right up to Augusts server 2008 security patches and the installer would keep crashing so to be able to install it I had to manually copy over the program files folder from this machine to that machine Program Files (x86) folder and then use it to create properly formatted audio CD's. That problem is unlikely to ever be resolved as the developer is not working on it any more that I am aware of. Any compatability between last version of imgburn and windows 10 any version or edition is purely accidental. Jim Jones, ImgBurn that I am aware of is practically abandonware while this is still being actively developed. I think an additional feature this has is the tool to recover data from a failed multisession disc etc. I do recall that not tool long ago I tried to install imgburn on a 64-bit vista SP-2+ fully patched right up to Augusts server 2008 security patches and the installer would keep crashing so to be able to install it I had to manually copy over the program files folder from this machine to that machine Program Files (x86) folder and then use it to create properly formatted audio CD's. That problem is unlikely to ever be resolved as the developer is not working on it any more that I am aware of. Any compatability between last version of imgburn and windows 10 any version or edition is purely accidental. Jim Jones, as an addendum to my previous reply... Burnaware Premium offered here does not offer to overburn CD's at all it point blank refuses to even acknowledge the idea of overburn while with imgburn it give the option to overburn and either it works or it doesn't dependant upon drive and disc combination and how much data one needs to overburn. I am a bit dissapointed about that! Jim Jones, as an addendum to my previous reply... Burnaware Premium offered here does not offer to overburn CD's at all it point blank refuses to even acknowledge the idea of overburn while with imgburn it give the option to overburn and either it works or it doesn't dependant upon drive and disc combination and how much data one needs to overburn. I am a bit dissapointed about that! jboy, Your assumption is correct and your complaint justified. @Lois Van Ghendt , I think your technology is based on TODAY, but as of the way I think of "Old School" still works for others...(Casettes or VCR Tapes might not be around much, but the music and videos are still here, it's just how you store them). I am done with your comments, so please harass someone who cares. Thank you again and have a wonderful negative day. Terry, ..... have a wonderful negative day.......The same for you and also have miserable days. Then use what is advertised, NCH DVD-burning software. Terry, ..... have a wonderful negative day.......The same for you and also have miserable days. Then use what is advertised, NCH DVD-burning software. Plus I use dvd/cd burner to put MY media music n movies I own on my tablet. I refuse to pay for something I already own. So burners are still a necessity. downloaded program and ran setup file. It installed perfectly and activated itself within 10 seconds. thanks, the licence says premium and licenced to giveawayoftheday. downloaded program and ran setup file. It installed perfectly and activated itself within 10 seconds. thanks, the licence says premium and licenced to giveawayoftheday. Excellent program. I was able to upgrade from the 11.0 version giveaway to this 11.5 version giveaway. The program is a very good burner. Easy to use. This is my favorite CD burning program. I've used the free version in the past and it worked great. Pluses include easy to understand and reliable for all your burning needs. Doesn't work for me. After running the program it says "Successful activated" but BurnAware is not installed. Try deactivating your anti-virus program like the readme says. I've used this since the last GoTD and find the software simple superb. It works and is designed flawlessly. This one is a stone winner. Merowinger, Try deactivating your anti-virus program like the readme says. I've used this since the last GoTD and find the software simple superb. It works and is designed flawlessly. This one is a stone winner. What is new in this version compared to the previous one. Much obliged. Thank you. Siva, here's the changelog: http://www.burnaware.com/version-history.html. There is not much about the license, it is a ½ year, a year or lifetime, and you can update or not. 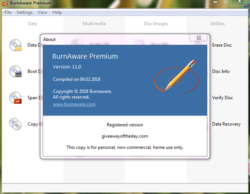 finally i have installed Burn Aware Premium 11.5 thank you very much !ALWAYS I WILL RECOMMEND YOU! RUDI RADI SYDNEY AUSTRALIA! RUDI RADI, I like your comment and nearly all the comments support it, so I fail to see why the minuses against yours. I suspect someone is playing games. Audiophiles who enjoy lossless music on their high end audio equipment, car stereos,. My girl likes an "original" copy. 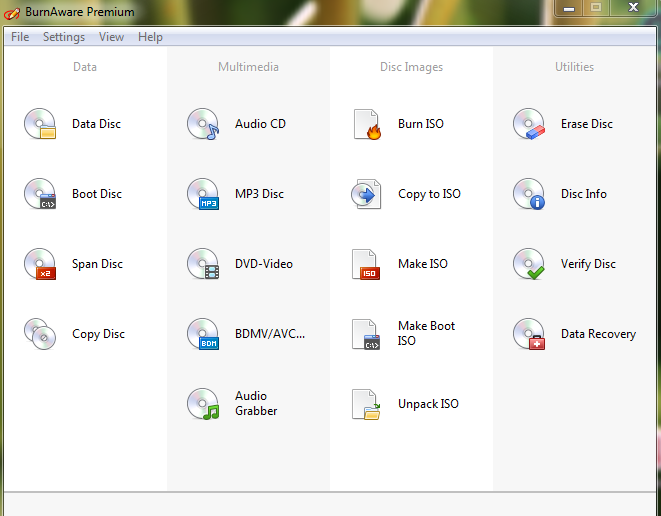 CD's can be used for other things like Linux live CD's or sharing pictures w/o using a flash drive, card. John, I am none the wiser regarding the features of BurnAware Premium 11.5. Eddie, I think John was replying to a question about who is still burning CDs. I have one machine I will install this on but use ashampoo burning studio almost exclusively for audio. John, Was answering question by son and CD's.#1 I have one machine I will install this on but use ashampoo burning studio almost exclusively for audio. Again a developer who uses all kinds of "distinctions". That is nothing else for me than empty talk! Burnaware is a multi award winning software company that was founded in 2007. The company’s mission is the development and delivery of reliable, simple, multi-functional recording software for all users. 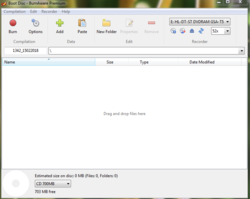 Since its inception, and thanks in part to its development of BurnAware, which is one of the most popular programs for burning optical discs, the company is now one of the largest producers of software for recording CDs, DVDs and Blu-ray in the world. Again a developer who uses all kinds of "distinctions". That is nothing else for me than empty talk! About Us Burnaware is a multi award winning software company that was founded in 2007. The company’s mission is the development and delivery of reliable, simple, multi-functional recording software for all users. Since its inception, and thanks in part to its development of BurnAware, which is one of the most popular programs for burning optical discs, the company is now one of the largest producers of software for recording CDs, DVDs and Blu-ray in the world. son, burn still happen, but less and less. But Blu-ray, doubtful? You must have a Blu-ray burner in your PC. you are wrong very wrong. Try looking outside of the box now and then ! Terry, this is very likely, but less use is made of DVD burners. You have that thing for a desktop PC. Laptops usually do not have an optical drive anymore. You have to tell your customers that there are USB sticks that you can easily connect to a flat screen. Then you will not burn your burner because those things do not have the eternal. Then you do not have to tell your customers that they have to wait a few days or more for that DVD because you have to buy a new burner for your PC. son, You are not wrong but some people here are weird! They even bought into BlueRay just when optical was obsolecent. son, You are not wrong but some people here are weird! They even bought into BlueRay just when optical was obsolecent. Lois Van Ghendt, New laptops with no optical drive will still burn a dvd/cd by using the usb port and a external burner. Unless you buy a quantity of USB sticks and charging the customer more money...well dvd/cd's will work to your advantage and sales.Unless the customer has a USB stick or wants to purchase one from me, then I can give them their portraits.videos that way. Thanks again. son, there are people who are just smarter than you will ever be. Terry,..... still burn a dvd/cd by using the usb port and a external burner......But those things do not have eternal life either. They also wear out. Lois Van Ghendt, I believe you would be astounded to find the true number of people who do not even personally know someone who owns a laptop...much less the netbook to which you are actually referring. I can personally take you to one of my next door neighbors who doesn't even comprehend what blu-ray technology is. I am a retired computer technician who made house calls (there is a lot of money in that market) so I have several of about all the different PC platforms: smartphones, tablets, netbooks, notebook, laptops, desktops, and a lan. Other than large urban areas and around a college campus, you are not actually going to find a lot of really large areas where you can get wifi for free. That puts you back to you carriers wifi capability within a given rural piece of real estate. My wife and I travel quite a bit by car and have unlimited data access with a national carrier and free roaming nation wide. However, I can tell you from personal experience that we have found many areas where not only was internet service not available; neither was XM radio except just in and out. In these cases, music DVDs come in pretty handy since I can have up to 6 of them already loaded up with uninterupted music anytime I want. You are wrong. Yes, wrong. When driving, there are many places where there is no radio reception or only Christian stations so if you want your music a few CDs with MP3s will while away the hours. You can get an external burner for a laptop etc. from eBay from around $15. That will also let you rip your CDs to MP3 for whatever device you need. Yes, wrong. When driving, there are many places where there is no radio reception or only Christian stations so if you want your music a few CDs with MP3s will while away the hours. You can get an external burner for a laptop etc. from eBay from around $15. That will also let you rip your CDs to MP3 for whatever device you need. Lois Van Ghendt, Not all flat screens have a USB port, and the sales of external burners has actually increased in the past 2 years. Why? Because folks, like Terry use them to help others. I have a CD player in the car. If you think I am going to rip it out to install an mp3 player unit, or butcher it to accept phone input, not gonna happen. Lois Van Ghendt, And so do USB sticks, believe it or not. son, Why do you think that we all should be using the same technology you use? The fact is that we are all free to use whatever we want, and should never listen to folks that want us to get the supposed "Latest and Greatest". I have used all the different types of technology for recorded media, and each has its ups and downs, even that which you are so bent upon advertising. There are things you cannot do with a smartphone, and the memory capacity on a smartphone at this time is limited, even with the highest capacity Micro SD Cards. You go out and buy up a stack of 100 blank DVD or Blue Ray discs, and you already have more memory space than a high capacity Micro SD Card, and for a lot less $. Plus the SD Cards have iffy lifespans, while discs can last a very long time as long as you treat them with good care. I have old CDs and DVDs that are from the beginning of that technology that work just as well as they did when they were new. No data corruption, no loss of quality, etc. I cannot say that about USB Flash Drives or SD Cards. Some of mine are already burnt out because of overuse. I cannot do that with any of my discs, unless the machine I put them in has an overheating issue. many of my oldest discs were produced in the 1990's and still work perfectly. Flash Drives and SD Cards were not in use at that time, and some are already not working at all. son, Why do you think that we all should be using the same technology you use? The fact is that we are all free to use whatever we want, and should never listen to folks that want us to get the supposed "Latest and Greatest". I have used all the different types of technology for recorded media, and each has its ups and downs, even that which you are so bent upon advertising. There are things you cannot do with a smartphone, and the memory capacity on a smartphone at this time is limited, even with the highest capacity Micro SD Cards. You go out and buy up a stack of 100 blank DVD or Blue Ray discs, and you already have more memory space than a high capacity Micro SD Card, and for a lot less $. Plus the SD Cards have iffy lifespans, while discs can last a very long time as long as you treat them with good care. I have old CDs and DVDs that are from the beginning of that technology that work just as well as they did when they were new. No data corruption, no loss of quality, etc. I cannot say that about USB Flash Drives or SD Cards. Some of mine are already burnt out because of overuse. I cannot do that with any of my discs, unless the machine I put them in has an overheating issue. many of my oldest discs were produced in the 1990's and still work perfectly. Flash Drives and SD Cards were not in use at that time, and some are already not working at all. aktopgun, You must first read each postng of me correctly. ... music DVDs are useful ... I do not break music DVDs. Windows can also burn music DVDs, even NCH software can burn music DVDs. So I'm not wrong. It is more convenient when a USB port is available, that you use a USB stick, also to play movies on your flat screen. That is called progress. But the progress is so fast that some devices are outdated after a few months and that is a fact. Certainly those things that stick to the ears, as it were. DJ, Terry use them to help others....Free work? No, Terry will present the bill. .... flat screens have a USB port.....The current flat screens no longer have SCART, an AV input is available. You can even connect a PC (laptop) to it. DJ, Terry use them to help others....Free work? No, Terry will present the bill. .... flat screens have a USB port.....The current flat screens no longer have SCART, an AV input is available. You can even connect a PC (laptop) to it. Lois Van Ghendt, and USB flash drives and SD cards etc all fail far sooner than CD/DVD and BlueRay discs. On recordable media even if you lose the reflective surface due to age they can be recoated to allow data to be read again, if optical media gets scratched it can usually be resurfaced if the scratches affect data reading, often it won't due to the built in error correction data but if a flash drive fails, especially within the firmware, the data is lost forever and there is no error correction built into them so if background radiation discharges a flash cell the data is forever corrupted. Each storage media type has its pro's and con's no one type is perfect for every purpose. I think it is safe to say that steel wire recorders and wax cylinder recorders are just about obsolete but most that came after serve a purpose somewhere even if its just to spawn that sense of nostalgia. BTW eternal life is not something we have to worry about with computer equipment they are built to fail after less than a decade nowadays with the plastic going brittle and crumbling eternity is pie in the sky for anything designed and marketed for capitalist consumerist societies.... they want you to have to keep buying a replacement as often as they can get away with. Lois Van Ghendt, and USB flash drives and SD cards etc all fail far sooner than CD/DVD and BlueRay discs. On recordable media even if you lose the reflective surface due to age they can be recoated to allow data to be read again, if optical media gets scratched it can usually be resurfaced if the scratches affect data reading, often it won't due to the built in error correction data but if a flash drive fails, especially within the firmware, the data is lost forever and there is no error correction built into them so if background radiation discharges a flash cell the data is forever corrupted. Each storage media type has its pro's and con's no one type is perfect for every purpose. I think it is safe to say that steel wire recorders and wax cylinder recorders are just about obsolete but most that came after serve a purpose somewhere even if its just to spawn that sense of nostalgia. BTW eternal life is not something we have to worry about with computer equipment they are built to fail after less than a decade nowadays with the plastic going brittle and crumbling eternity is pie in the sky for anything designed and marketed for capitalist consumerist societies.... they want you to have to keep buying a replacement as often as they can get away with. Louis Van Ghendt, I used to use flash drives to play videos on my various flatscreen TV's over the years but have settled on a DLNA server and serve my media using servio free server on my main laptop and have my smartTV act as DLNA client and play whatever I want directly from my laptops second 2TB hard drive. I chose that because flash drives only have a limited number or permissable writes, the USB socket on TV only has a limited number of insertions and removals before they become unreliable and the hassle of having to move the flash drive back and forth and the time wasted wrting to a flash drive media files and limited storage capacity of the flash devices... a server is far more time and wear and tear efficient. I could cast a DVD-Video or Blueray-video to my smartTV if I really wanted to but have never had the need. Louis Van Ghendt, I used to use flash drives to play videos on my various flatscreen TV's over the years but have settled on a DLNA server and serve my media using servio free server on my main laptop and have my smartTV act as DLNA client and play whatever I want directly from my laptops second 2TB hard drive. I chose that because flash drives only have a limited number or permissable writes, the USB socket on TV only has a limited number of insertions and removals before they become unreliable and the hassle of having to move the flash drive back and forth and the time wasted wrting to a flash drive media files and limited storage capacity of the flash devices... a server is far more time and wear and tear efficient. I could cast a DVD-Video or Blueray-video to my smartTV if I really wanted to but have never had the need. son, you ask "Why people still need burn media to CD??" Because a good quality CD-ROM disc can theoreticaly be readable for many decades while flash devices are only good for at best maybe one decade assuming no ancillary components fail sooner like the controller chips. Also you are wrong smartphones are poor choices to listen to music seriously, can't beat a decent sound system... hardly possible to have romantic ecvening in with a smartphone playing into a set of headphones and the quality of sound via bluetooth hardly matches that of a good DVD or CD... it will be muddy and compressed with no bass detail from a smartphone through blutooth. son, you ask "Why people still need burn media to CD??" because they have players that only play CD media and don't live a throwaway life... Because a good quality CD-ROM disc can theoreticaly be readable for many decades while flash devices are only good for at best maybe one decade assuming no ancillary components fail sooner like the controller chips. Also you are wrong smartphones are poor choices to listen to music seriously, can't beat a decent sound system... hardly possible to have romantic ecvening in with a smartphone playing into a set of headphones and the quality of sound via bluetooth hardly matches that of a good DVD or CD... it will be muddy and compressed with no bass detail from a smartphone through blutooth. Louis Van Ghendt, And perhaps you should read other posts..not every flat screen has a USB port to plug your USB flashdrive into..but Im willing to bet a great number of folks still have DVD or Blu-ray players. Every time we have software that creates CDs, DVDs, or BluRay discs, we generally have someone question the validity of ... why, ... when clearly in their mind, that technology is dead. Well today, I decided to check some things out. The developers of such software would surely be the ones that hear the most from customers. Some have forums, and often have a section dedicated for user requests, and some have a ToDo list, RoadMap for future changes, etc. All (and the list is so long that it would take up too much space), of these developers are very busy maintaining the software, improving, and implementing suggestions from users. No matter what one person's opinion, there seems to be no end to this type of software. One final thing, the next time you are in your local computer supply store, take a look at the blank CD/DVD/BluRay media section. When that section totally disappears and you cannot find the media on Amazon, then you can start to realize that technology is slowing now. It does not seem to have started yet ... at least today! son and others, Every time we have software that creates CDs, DVDs, or BluRay discs, we generally have someone question the validity of ... why, ... when clearly in their mind, that technology is dead. Well today, I decided to check some things out. The developers of such software would surely be the ones that hear the most from customers. Some have forums, and often have a section dedicated for user requests, and some have a ToDo list, RoadMap for future changes, etc. All (and the list is so long that it would take up too much space), of these developers are very busy maintaining the software, improving, and implementing suggestions from users. No matter what one person's opinion, there seems to be no end to this type of software. One final thing, the next time you are in your local computer supply store, take a look at the blank CD/DVD/BluRay media section. When that section totally disappears and you cannot find the media on Amazon, then you can start to realize that technology is slowing now. It does not seem to have started yet ... at least today!